It seems most any ingredient is game in today’s brewing world. From the more traditional additions such as cherries and orange peels, to the more off-kilter like blood orange and hibiscus, breweries are looking to make a splash with the addition of bold and innovative new elements. Sometimes they can push the limit to its edge. Case in point: Adding squid ink to a beer. Squid ink is dark, briny and somewhat viscous. The United States has yet to incorporate squid ink as a common ingredient in its cuisine, but countries from Italy to Spain and Japan use squid, octopus and cuttlefish inks to color and flavor breads, pastas, sauces and other dishes. So where do brewers draw the line? According to Pauly, the key is to make such left-field ingredients functional, rather than capricious. Pauly made his squid ink IPA “out of spite more than anything else.” He disliked the idea of calling certain beers “black IPAs” for the sake of trends, figuring that such brews were really only hoppy porters lofted by a new name. One day his wife came home from Chicago bearing squid ink pasta—a veritable tradition in Italy—and Pauly had a revelation. Squid ink, he thought, could modify water salinity in a way that would bring out the flavors of hops in a beer. An idea emerged: Why not make an IPA colored black by squid ink? “Really, throughout the entire way, it’s a nice IPA,” he continued. That seamless ability to blend with a beer style is what similarly inspired Johnson to brew with squid ink. Rather than rounding out the light, crisp sourness of his gose with salt, he figured he’d use the ink’s brininess as a replacement. Pauly enjoyed his experiment, but is likely keeping it a one-off. He may, however, bring it back sometime this year. In the meantime, he makes and has made other off-kilter ales for 3 Sheeps that include a ghost pepper imperial pale ale and an imperial black wheat ale with coconut, chocolate and walnuts. 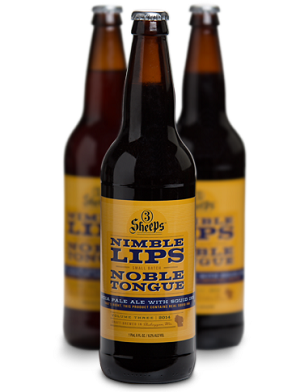 His “white whale,” he said, is a beer that incorporates lamb meat. “So far I’ve been extremely unsuccessful, but I’m still playing with it,” Pauly said. 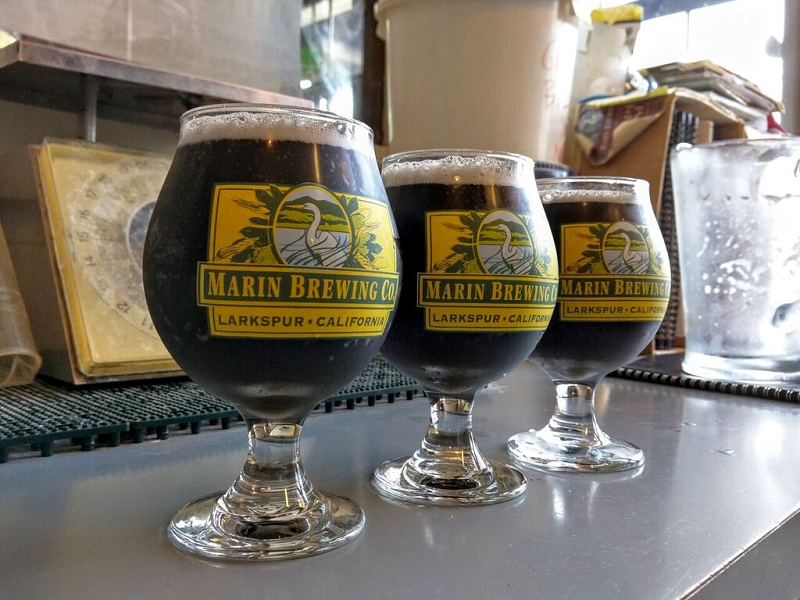 Johnson said Marin and Monkey Paw have been discussing brewing the squid ink gose—which is actually soured with the Lactobacillus from yogurt—again, then possibly entering it in the Great American Beer Festival. But even though Marin and 3 Sheeps have used squid ink functionally in brewing, it hasn’t been quite as amenable to everyone. “I’d have to say our experience wasn’t great,” said Dave Bailey, owner of Hardknott Brewery in Millom, United Kingdom. Bailey said that the cuttlefish ink (squid ink was too hard for him to get ahold of) he used in his dark, hoppy Squiddy ale didn’t settle, and tended to clump. Pauly and Johnson were both able to solve that issue, though Pauly did say that his squid ink IPA started to clump in the bottle after about four months. “Even the bottles that had a little bit start to form on the bottom, it was just like a good old fashioned Belgian beer—we just set it sideways on a surface and rolled it around to re-agitate the ink,” said Pauly. Still, Pauly says it was better to drink the beer fresh rather than aged. Bo McMillan is a writer and self-professed nerd based out of Chapel Hill, North Carolina, whose interests include food history, coffee, contemporary literature and cooking.